Shutdown the laptop then power on to boot. During the “Thinkpad” splash screen, Press F1 on your keyboard to enter the BIOS. 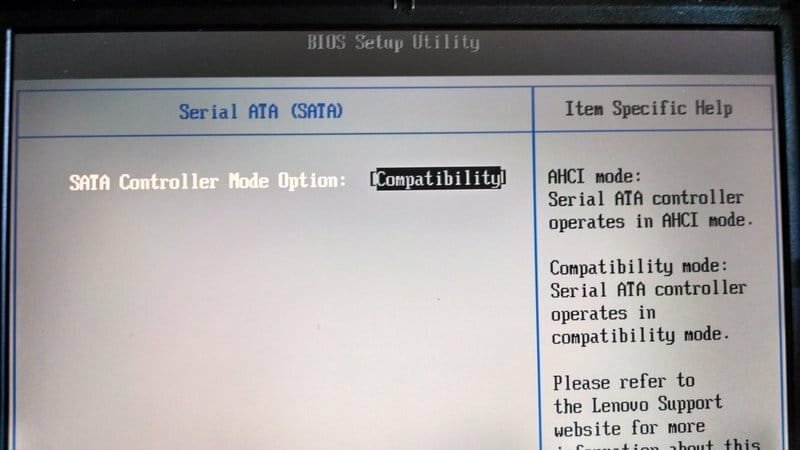 Change the SATA Controller Mode Option from AHCI to Compatibility mode. Reboot from OS should now work.